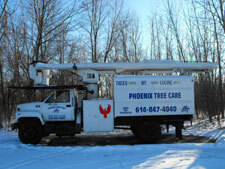 Phoenix Tree Care/Trees by Louise is owned and managed by Brad Kitchen. Brad is an Ohio ISA Certified Arborist, with 25 years experience in tree health care, construction damaged trees and hazardous tree assessment. Phoenix Tree Care has grown to provide the necessary equipment and technicians to provide quality tree care to our clients. We are equipped to handle all of your tree care needs. Trees by Louise began business in 1993. It was originally owned by Louise Radanovich, who provided quality, biology based tree care. Brad Kitchen took over operations in 2004, after working with Louise and Trees by Louise for 2 years. Trees by Louise was renamed Phoenix Tree Care/Trees by Louise, LLC in 2004. 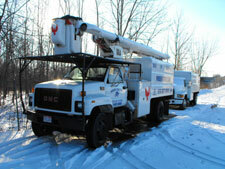 Phoenix Tree Care continues to provide quality biology-based tree care to our clients. We have earned the reputation as one of Franklin and Delaware County's premiere tree care companies, known for quality service, quality workmanship and long time client relationships. Our goal is 100% client satisfaction. The ISA has served the tree care industry for over eighty years as a scientific and educational organization.